Although Massachusetts has significantly relaxed its laws regarding the simple possession of marijuana, it still maintains very strict laws with very tough penalties regarding other types of drug offenses. Furthermore, the state is often very aggressive in prosecuting those types of cases. If you have been charged with any drug-related crimes a Worcester drug lawyer may be able to help. Speak with an accomplished drug attorney that could fight in your defense. Just like the federal government and many other states, Massachusetts has created a classification system for what it defines as controlled substances. There are five levels of controlled substances in Worcester, each of which groups drugs based on certain shared characteristics. The Worcester Police Department often conduct drug raids. These raids, if done properly, are completely legal and often result in the police uncovering drugs. In order to carry out these raids, Worcester works closely with confidential informants; the informants provide information to police in exchange for protection. This class contains drugs such as heroin, morphine, gamma hydroxybutyrate (GHB), and ketamine. These are generally considered to be the most dangerous illegal drugs because of the likelihood that users will abuse them and cause great harm to themselves and others. This class includes cocaine, ecstasy/MDMA, opium, oxycodone hydrochloride (“Oxycontin”), amphetamines, methaqualone, and psychedelic drugs like LSD. 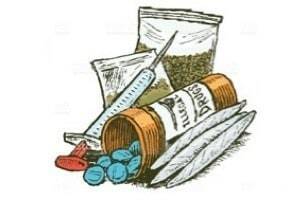 The chronic use of these types of drugs can lead to physical and/or psychological dependence, as well as an increased risk of heart attacks and other heart-related problems, strokes, breathing difficulties, and other medical problems. This class also contains a host of so-called designer drugs, including diazepam, lorazepam, mescaline, oxazepam, peyote, and psilocyn. This class includes drugs such as chloral hydrate, ethinamate, methohexital, and phenobarbital. It also includes marijuana beyond the applicable limits for an individual: up to one ounce on someone’s person and up to ten ounces secured in a private residence. Some prescription drugs are classified as Class E substances in Massachusetts. Examples include Adderall, codeine, Percocet, and a variety of anti-anxiety drugs. The penalties for illegally possessing controlled substances in Massachusetts are based on the same system that is used to classify drugs. Once again, penalties vary based on which of the five classes an offense falls into. A Worcester drug lawyer could help an individual fight the charges that they face. The maximum sentence for a first offense Class A violation is up to two years in jail and a fine of up to $2,000. A second or subsequent offense is classified as a felony, with a maximum sentence of five years in prison and a maximum fine of $5,000. For both Class B and Class C violations, the maximum sentence for a first offense is one year in prison and a maximum fine of $1,000. A second or subsequent offense carries a maximum sentence of two years in jail and a $2,000 fine. The maximum sentence for any Class D or E violation is a six-month jail sentence and a $500 fine. First-time offenders who have no other drug-related convictions and no prior felonies will typically be given probation and, upon successful completion of that probation, will have their records sealed. In order to convict someone of illegally possessing a controlled substance in Worcester, the prosecution must prove that the person knowingly or intentionally possessed the drug and that the drug was, in fact, a controlled substance. These requirements may provide an experienced Worcester drug attorney with some options in terms of defending someone charged with such a crime. A conviction for any drug offense can have far-reaching and long-term negative effects. For example, it will automatically bar you from ever obtaining many professional licenses or ever being granted a license to carry a firearm in Massachusetts. Do not leave the outcome of your case to chance — contact a seasoned Worcester drug lawyer today to see what your legal options may be. Read more about drug crimes in Massachusetts on our website today. While on our website, feel free to browse some of our criminal case results as well.